Horse fans, big and small, will certainly enjoy the new Nintendo 3DSTM game from TREVA Entertainment in the Nintendo eShop: they look after their favourite animals and win exciting tournaments together. Hamburg, 26th March 2015 – Friendship is the central theme in “Best Friends – My Horse 3D” now being published by TREVA Entertainment GmbH for the Nintendo 3DS. In this horse care and riding simulation players build close relationships with their horses and stay with them through thick and thin. Choosing from a wide range of warm, cold and full blood horses such as Arabian, Friesian or Freiberger, players are able to create their dream horses. There is a shop full of useful equipment for both horse and rider, a wide selection of saddles, blankets, bridles and brushes as well as chic riding apparel. A comprehensive care program awaits in the stables and therapy house: grooming, massage, showering, scraping out hooves and plenty more. But “Best Friends – My Horse 3D” is not only about looking after horses, riding them is important too. Ten show jumping courses of varying difficulty are available to the young horse fans. The Nintendo 3DS tilt and Circle Pad controls make riding big fun: you have to wait for just the right moment to carry out the commands and tilt the Nintendo 3DS in the desired direction. With a little bit of practice, a well-coordinated team can soon start to take part in tournaments. However, while doing this, our equine enthusiasts should always keep an eye on the values of trust, hunger and hygiene. Adorned with pretty accessories, the dream team may even win one of the numerous beauty contests. Furthermore, using the Nintendo 3DS StreetPassTM function cute foals can be reared and trained using a lunge line – motivated by carrots harvested by the players themselves! “Best Friends – My Horse 3D” offers even more Nintendo 3DS functions: along with the 3D view these are the Circle Pad support as well as the ability to obtain support in completing tasks using collected Play Coins. 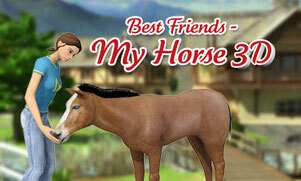 "Best Friends – My Horse 3D" is available right now at 29,99 € in the Nintendo eShop on Nintendo 3DS. To visit the virtual marketplace, players should look in ‘System Settings’ for an ‘Access Point’ in their locality and then use this to make an Internet connection. 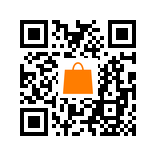 The game can then be easily downloaded from any location.